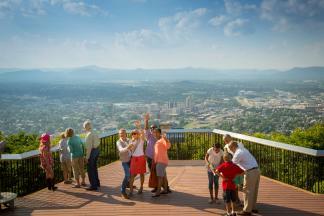 It may be the shortest month of the year, but there’s no shortage of events on the calendar in the Roanoke Valley in Virginia’s Blue Ridge. Whether it’s an early spring or six more weeks of winter, we’ll keep you entertained this month with live music, theatre performances, sporting events, and other fun activities. Here are 20 of the top events to check out this February in Virginia’s Blue Ridge. Head to the Salem Civic Center for some summertime fun at the 11th annual Winter Beachfest, which will feature live music by The Band of Oz. 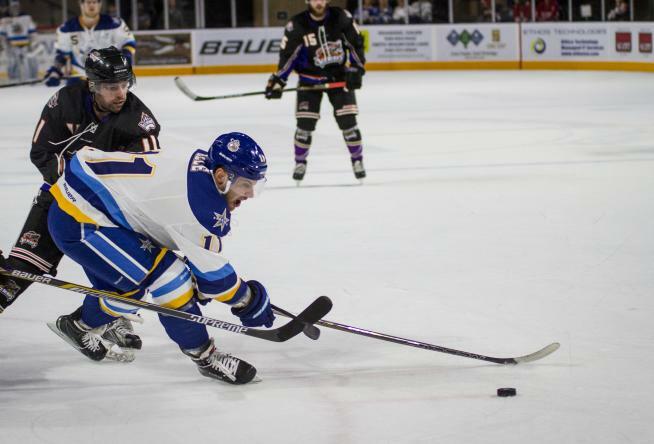 Cheer on the Rail Yard Dawgs this month as the team enters the final stretch of the season and tries to push for a playoff spot. Get introduced to the community theatre scene in Virginia’s Blue Ridge and take in this production of “Gin Game” by Star City Playhouse in Vinton. It’s a full day of free fun, attractions, and entertainment at Tanglewood Mall for the 19th annual Tons of Fun celebration. Most known for her award-winning work as “Big Boo” in Orange is the New Black, Lea DeLaria is also an accomplished comedian and musician. In this performance at the Jefferson Center, DeLaria will feature her skills as a jazz musician. Whether you’re racing or just want to come out for a good time, this Winter Mountain Cross Race Series is a great showcase of our year-round passion for mountain biking in Virginia’s Blue Ridge. Spend an evening at the Taubman Museum of Art sampling bourbons from various distilleries and pork dishes created by local chefs, in addition to enjoying all the art on display in the museum. Who says Valentine’s Day has to be about roses, jewelry, and chocolate? Take a haunted adventure through The Meek’s Manor with a Valentine’s date that could be to die for! Put on your favorite costume and prepare for a day of games, music, panels, vendors, and all things comic-related at this Comic-Con event. One of the most entertaining teams in sports returns to Virginia’s Blue Ridge as the Harlem Globetrotters take the floor at the Salem Civic Center. Celebrate one of the most influential bands in the history of music in this tribute show for The Beatles that includes music, vocals, and historical footage from the band’s rise to the top of the music world. A four-course meal paired with delicious wines in the beautiful setting at Chateau Morrisette Winery & Restaurant is a wonderful way to spend Valentine’s Day with your sweetheart. The Black Jacket Symphony offers a unique musical experience by recreating classic albums with a specially selected group of performers who mimic the album in every way in a live setting. You may not be able to go to the Far East to celebrate the Chinese New Year, but you can definitely make it to the Moss Arts Center at Virginia Tech for a concert by the China National Symphony Orchestra. Learn about the history of moonshine and how Franklin County became known as the Moonshine Capital of the World in this special tour experience that includes a visit to Twin Creeks Distillery. The kids will love seeing over 200 life-size dinosaurs on display and it’s an educational experience with creatures represented from the Cretaceous, Jurassic, and Triassic periods. MystiCon is back in Roanoke for the 8th consecutive year and has established a reputation as an awesome weekend of Sci Fi, fantasy, and pop culture. We love our bluegrass music in Virginia’s Blue Ridge and you can experience that proud music heritage by attending the Acoustic Endeavors concert at the charming Buchanan Theatre. Mickey, Minnie, and many of your other favorite Disney characters are coming to Virginia’s Blue Ridge for this show at Berglund Center that will feature classic Disney moments we recognize from the iconic films and stories. Nicknamed the “Hendrix of the Sahara,” Vieux Farka Toure is a musician from Mali who’s known as one of the best guitarists in the world. He’s also the son of Grammy-winning artist Ali Farka Toure. 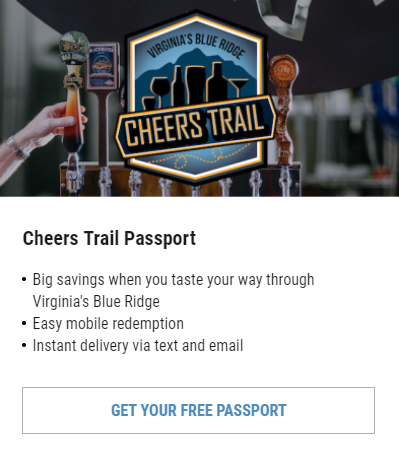 This is only a sampling of what’s happening in Virginia’s Blue Ridge this month! Visit our Calendar of Events for a complete list of upcoming events. You can also learn more about the region by giving us a follow on social media and by subscribing to our monthly e-newsletter.